Judy: I was attracted to the variety of the papers and the addition of brown to the traditional black and orange color palette. An added benefit of this Halloween collection is that it ranges from the mildly scary for children to the more macabre for adults. 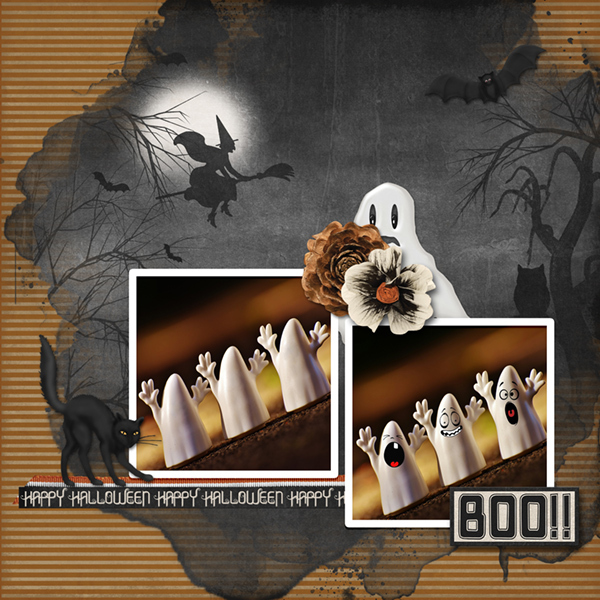 Plus, the word art is packed with Halloween sentiments. 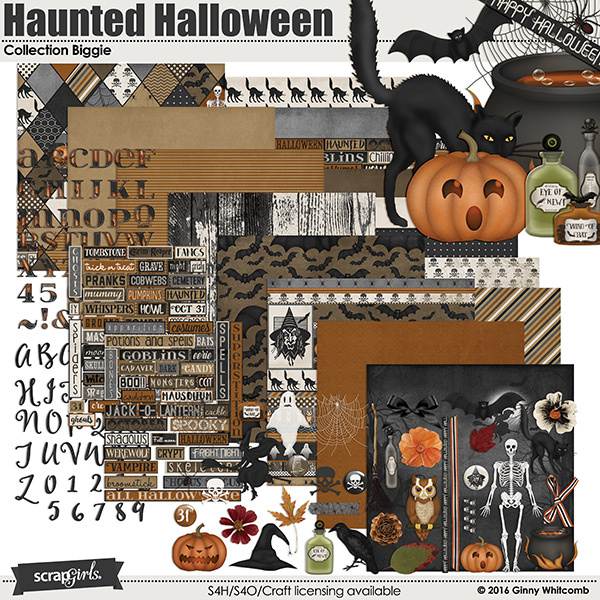 Sondra: I’m a great fan of patterned papers, and the witch paper really caught my eye. 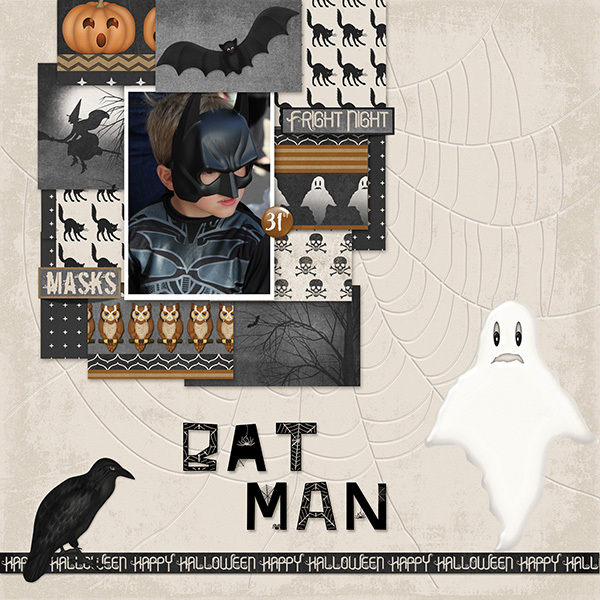 Not only does this kit have great papers, but the elements and wordart are perfect for any kind of Halloween layout. Andrea: This is one of my favorite Halloween collections. The embellishments, the papers, the wordart — I love them all. Plus, this kit is versatile enough so I can use the flowers, leaves, and some of the papers for more generic fall pages.